The side-scrolling arcade beat-em-up game, KungFu Quest (hack) is now available for your Android devices. If you're intro retro martial arts fighting games, then this is perfect for you! To play, you control your character as he works his way down a long hallway to reach a staircase to the next level, while hordes of enemies swarm in from both sides. 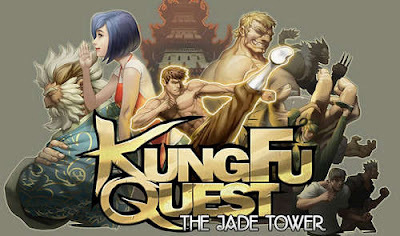 But, what makes this KungFu game unique is that you can create your own combos to strategically take apart your opponents.